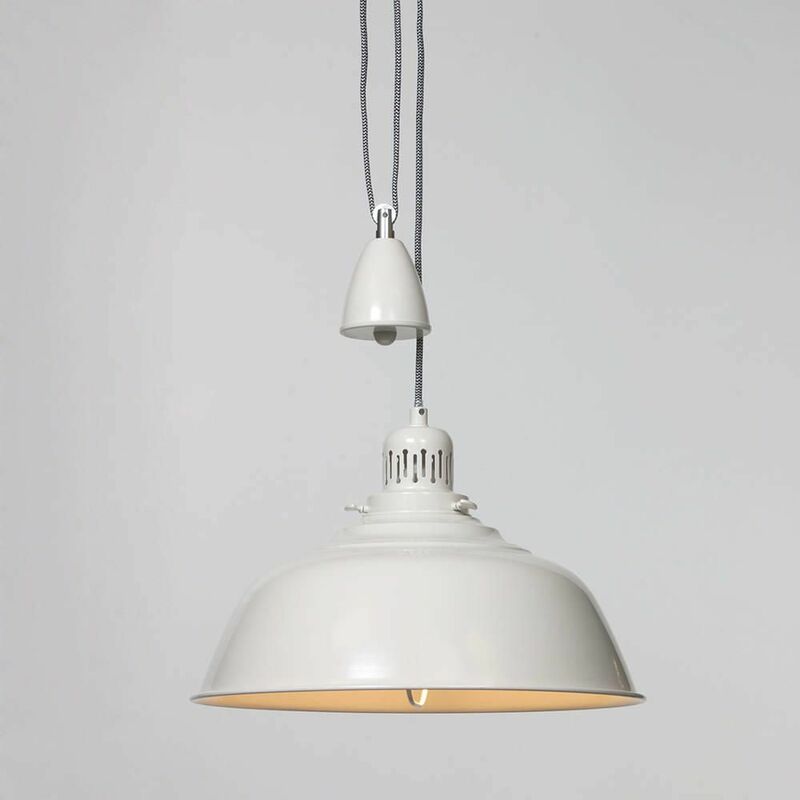 Traditionally styled with a contemporary twist, this beautiful rise and fall pendant light from Litecraft is constructed from metal with a classic cream finish. 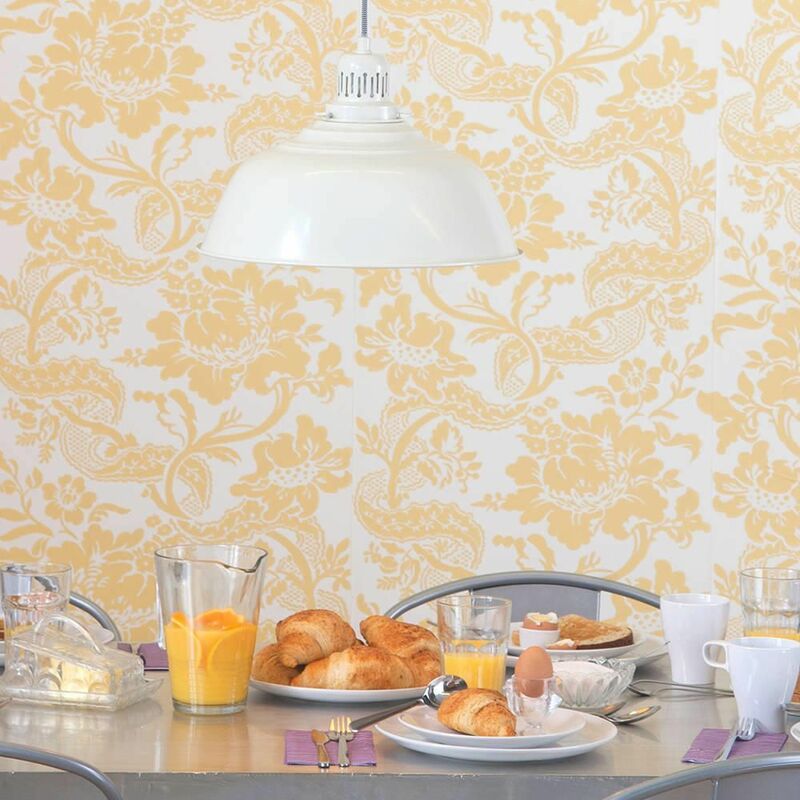 It's functional design is inspired by historical French brasserie designs. 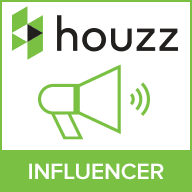 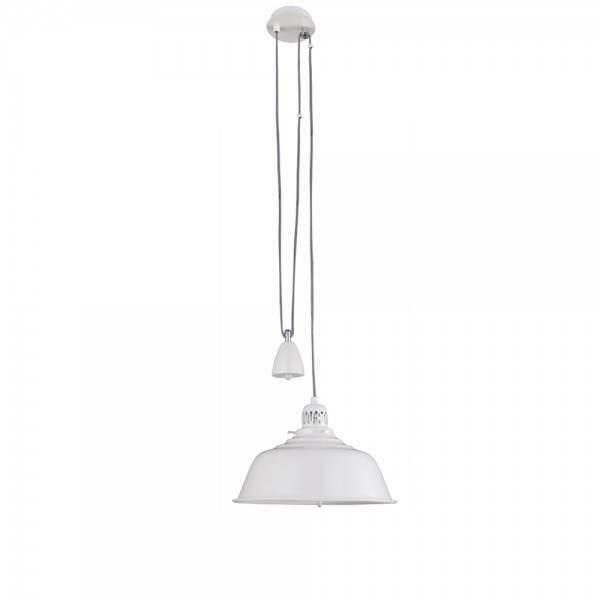 It features a fully adjustable rise and fall function that's operated by a pulley system; simply pull the cord and change the height to suit your home. 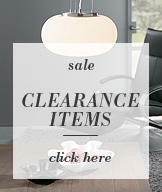 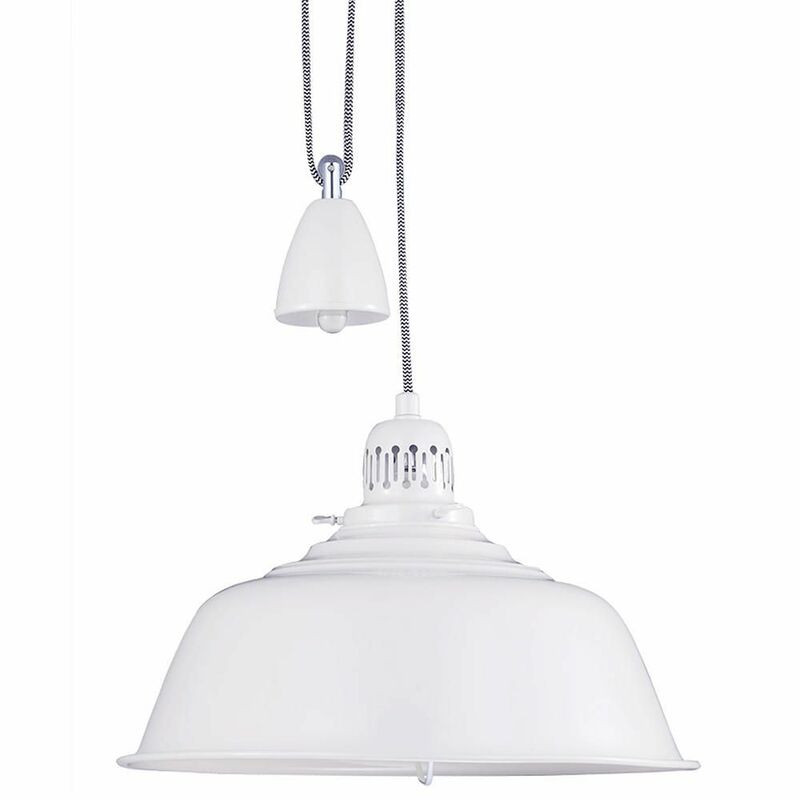 This stunning pendant light will make a stunning style statement when placed over a dining room or kitchen table. 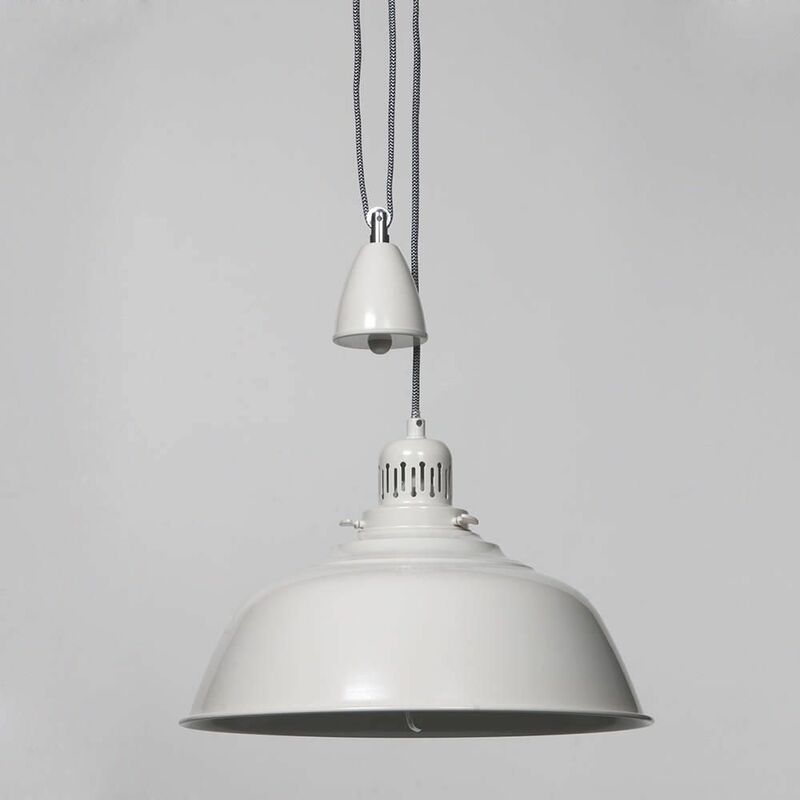 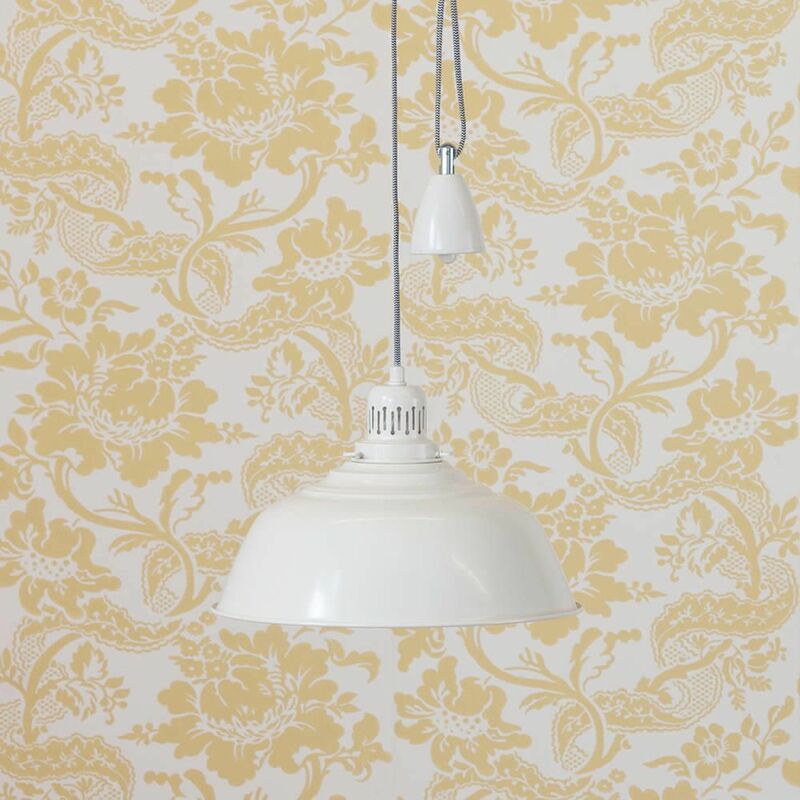 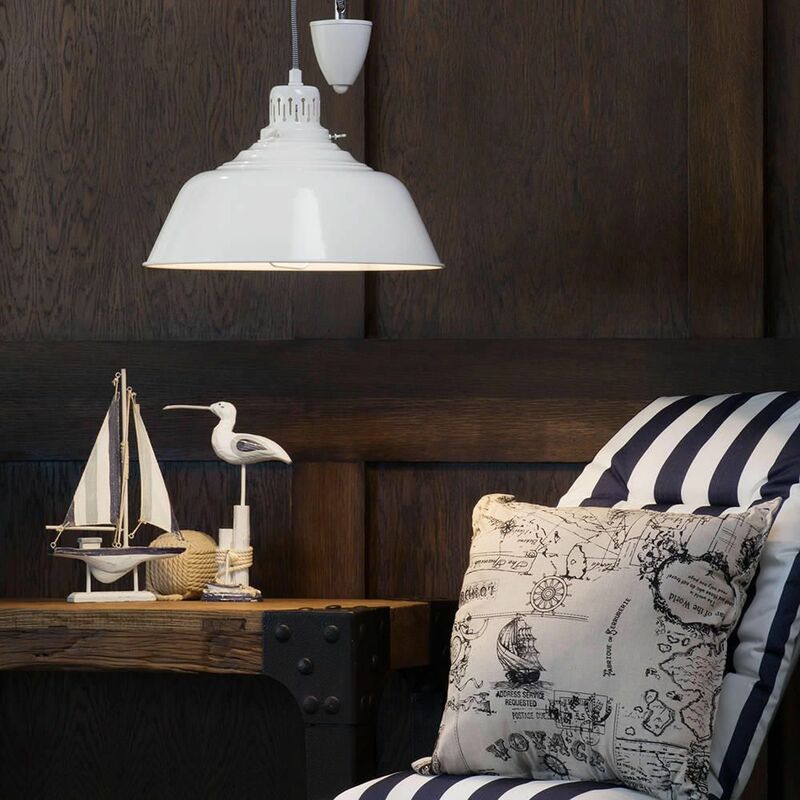 The Fisherman rise and fall cream pendant is suitable for use with standard E27 light bulbs. 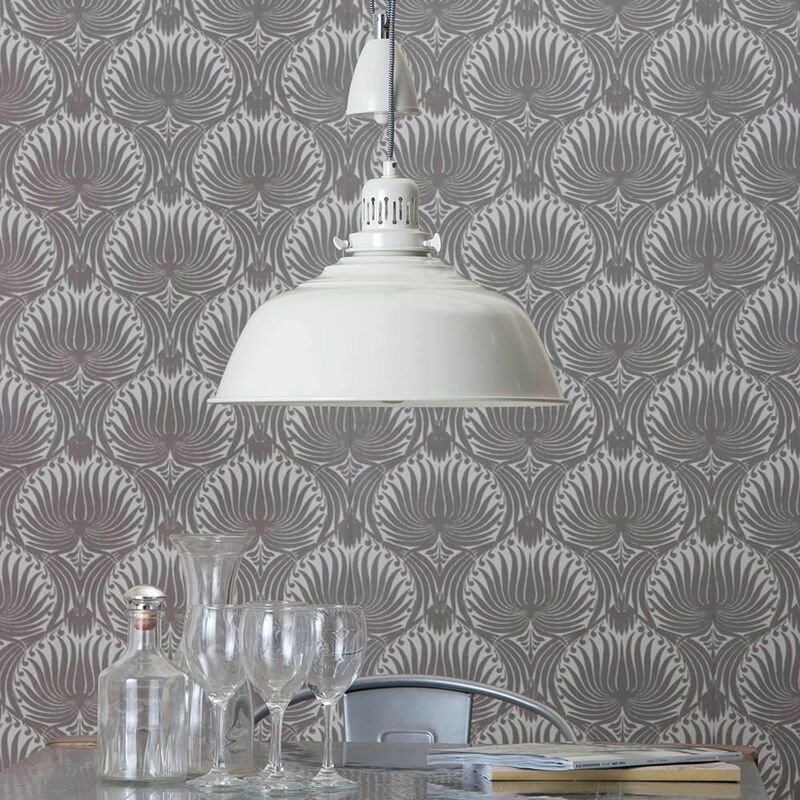 Wallpaper supplied by Farrow & Ball.